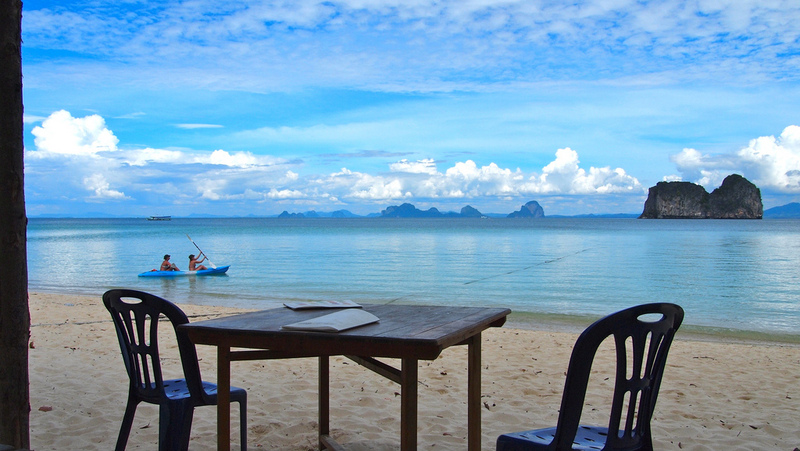 Ko Ngai (also spelt Koh Hai) is a tiny island in Krabi province close to Koh Lanta. It is only measuring 4 kilometers long and 2 kilometers wide. The island only has a few resorts and not a village or something like that. Officially it is part of Ko Lanta National Park. The easiest way to reach the island is taking a boat from Pak Meng Pier in Trang but it is also possible to go by ferry from Koh Lanta. Together with the Neighboring islands Ko Muk and Ko Kradan they form a triangle. That makes it easy to hop from one to the other. Great travel story from Learn Thai with Mod. Kayaking at Koh Ngai beach. Source: Flickr, Björn Ognibeni. This video will present the recommodation of top 10 beaches in Thailand for your lists! !